If you face and issue, and cannot find an answer in the documentation, feel free to submit a support ticket! Managing Date and Time properly is vital for a booking tool, as a wrong configuration or time zone can totally invalidate a business’s schedule. 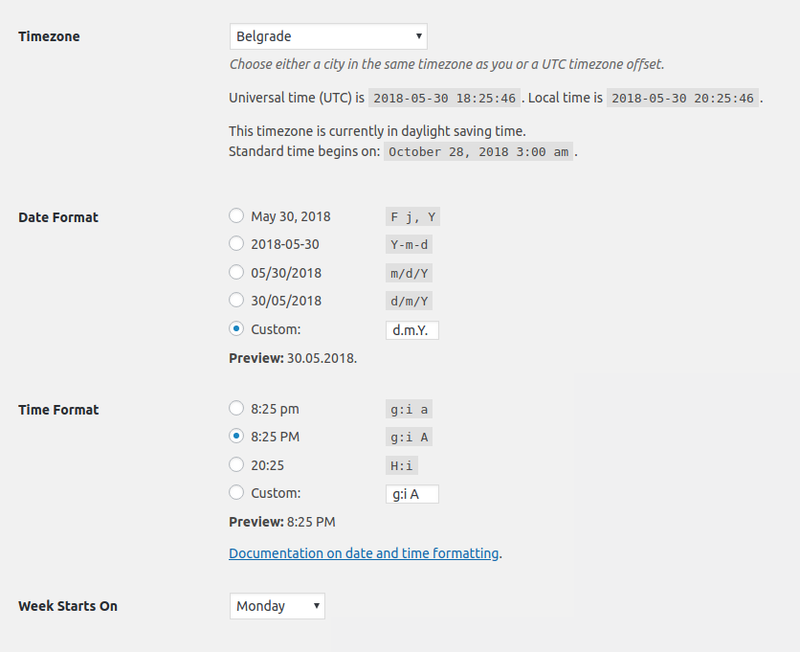 As Amelia is an appointment plugin for WordPress, we wanted to make sure it fully aligns with generic WordPress settings as well as with other plugins that might be installed, which is why Amelia does not have its own set of Date/Time settings but follows the global WordPress configuration. You can always modify it by going to Settings » General page in the WordPress admin area and scroll down to the TimeZone section. Set up the “Timezone”, “Date Format”, “Time Format”, and the “Week Starts On” settings as appropriate for your business. After you click “Save Changes”, the defined settings will be used by Amelia booking. Amelia is a simple yet powerful plugin for accepting online appointment bookings & payments on your WordPress site. If you have some pre purchase questions please let us know.